Amber Glen Scotch Whisky Co., Ltd. This cookie statement was last updated on October 11, 2018 and applies to citizens of the European Economic Area. On this website we use advertising cookies, enabling us to personalize the advertisements for you, and we (and third parties) gain insights into the campaign results. This happens based on a profile we create based on your click and surfing on and outside https://amberglen.co.uk. With these cookies you, as website visitor are linked to a unique ID, so you do not see the same ad more than once for example. On our website we have included buttons for Facebook, Twitter, Linkedin, Google Plus, and Other to promote webpages (e.g. “like”, “pin”) or share (e.g. “tweet”) on social networks like Facebook, Twitter, Linkedin, Google Plus, and Other. These buttons work using pieces of code coming from Facebook, Twitter, Linkedin, Google Plus, and Other themselves. This code places cookies. These social media buttons also can store and process certain information, so a personalized advertisement can be shown to you. Please read the privacy statement of these social networks (which can change regularly) to read what they do with your (personal) data which they process using these cookies. The data that is retrieved is anonymized as much as possible. Facebook, Twitter, Linkedin, Google Plus, and Other are located in the United States. 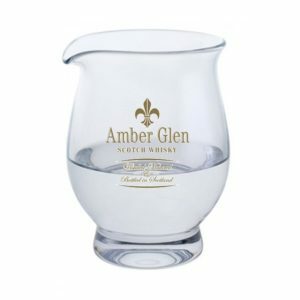 At Amber Glen Scotch Whisky Co. Ltd, we are committed to safeguarding and preserving the privacy and security of our customers, website visitors, suppliers, company personnel. Where services are delivered on the internet, this sometimes involves placing small amounts of information on your device. These include small files known as cookies. Cookies are used to provide information regarding the computer or mobile phone and devices used by a visitor as you browse, such as Internet Service Provider, browser type and version, operating system and device type, average time spent on our site(s), pages viewed, information accessed, the Internet Protocol (IP) address used to connect your computer to the Internet and other relevant statistics. Such information is sometimes referred to as web analytics and/or clickstream data. Such information will not identify you personally. It is statistical data. This statistical data does not identify any personal details whatsoever. We may collect, store and use two kinds of data: personal and behavioural. Personal data is any information you provide that enables you to communicate and interact with Amber Glen Scotch Whisky and any correspondence you send electronically may be retained, such as the content of your email messages, your email address and our response. We may also retain any information you upload to our website, such as content and pictures. Behavioural data relates to information about your visit to, and any actions on, this website. This includes your IP address, referrer, length of visit and number of page views. This information is essential for the website to work correctly and allows us to improve the performance and functionality of the site. 4. Operate, maintain, and provide to you the features and functionality of this website. 2. To provide information to you relating to other products that may be of interest to you. Such additional information will only be provided where you have consented to receive such information. If you have previously purchased goods or services from us we may provide you with details of similar goods or services, or other goods and services, that you may be interested in. We will never share your information with any third parties. Your privacy is our priority and we go to great lengths to protect it. Any information we collect about you will always be handled securely and in compliance with the UK Data Protection Act (1998) and all other relevant legislation. Amber Glen Scotch Whisky will not disclose customers’ details to third parties. Data collected will be used solely by Amber Glen Scotch Whisky Co., Ltd to enable us to process and deliver online orders and to contact you from time to time with offers and information updates. Please contact us on [email protected] if you do not wish to be contacted with such information. You have the ability to terminate email correspondence from us at any time. You will either be given the chance to opt-in to direct mailing when you disclose your email address to us, or you can simply reply to our email, typing ‘unsubscribe’ in the subject line. We cannot guarantee the security of data that you choose to send us electronically, sending such information is entirely at your own risk as the sending of information via the internet is not totally secure and on occasion, such information can be intercepted by unauthorized parties. 1. For your protection, we only disclose information to third-parties for goods delivery purposes. We will retain your information for as long as your account is active, your information is needed to provide you services, or as required to fulfil our legal obligations. If you wish to delete your account or request that we no longer use your information to provide you services, contact us at [email protected] We will respond to your request within 30 days. We will retain and use your information as necessary to comply with our legal obligations, resolve disputes, and enforce our agreements. This policy replaces all previous versions and is correct as at May 2018. We reserve the right to change the policy at any time. Any changes to this policy will be posted here. Drink responsibly, avoid alcohol if pregnant, trying to conceive or breastfeeding. U.K. Government Guideline recommends that you do not regularly exceed 2 units daily (women & men). Get to know the Alcohol by Volume (ABV) of your favourite drinks so you can get an idea of how much you are drinking. Units are a simple way of expressing the quantity of pure alcohol in a drink. The number of units in a drink is based on the size of the drink, as well as its alcohol strength. For example, spirits that say “40% ABV” or “alcohol volume 40%” means 40% of the volume of that drink is pure alcohol. (One unit equals 10ml or 8g of pure alcohol.) So, a Single small shot of spirits * (25ml, ABV 40%) = 1 unit Knowing your units will help you stay in control of your drinking. Try to have several drink-free days each week, spread your drinking over 3 or more days if you regularly drink as much as 14 units a week. There is no ‘safe’ level of alcohol consumption when seeking to reduce the risks of alcohol-related cancers. The more alcohol consumed the greater the risk. Consumption of alcohol impairs your ability to drive any vehicle, vessel, aircraft or operate machinery. WARNING: There is no safe way to calculate your BAC (blood alcohol concentration) as it relies on so many factors. The only safe and foolproof way is to use a reliable breathalyser or even better still, do not drink and drive! !